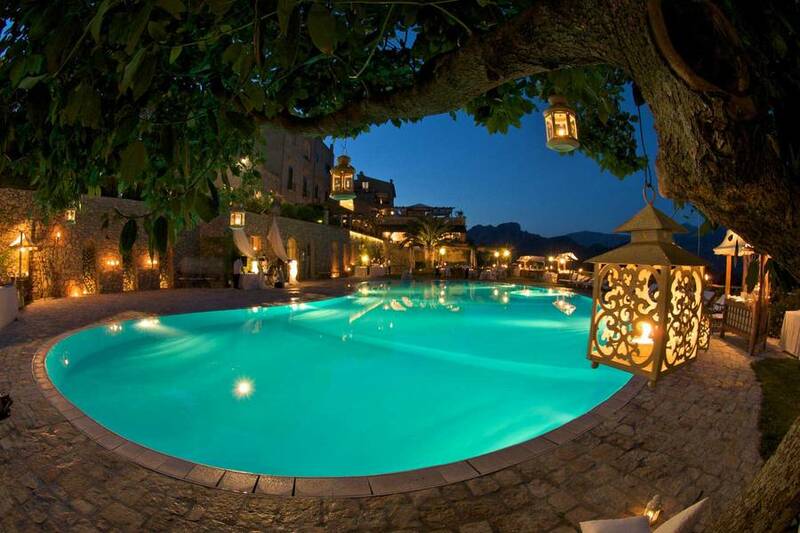 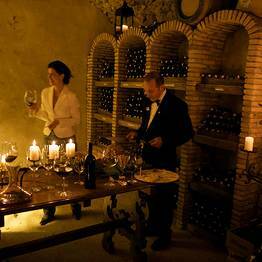 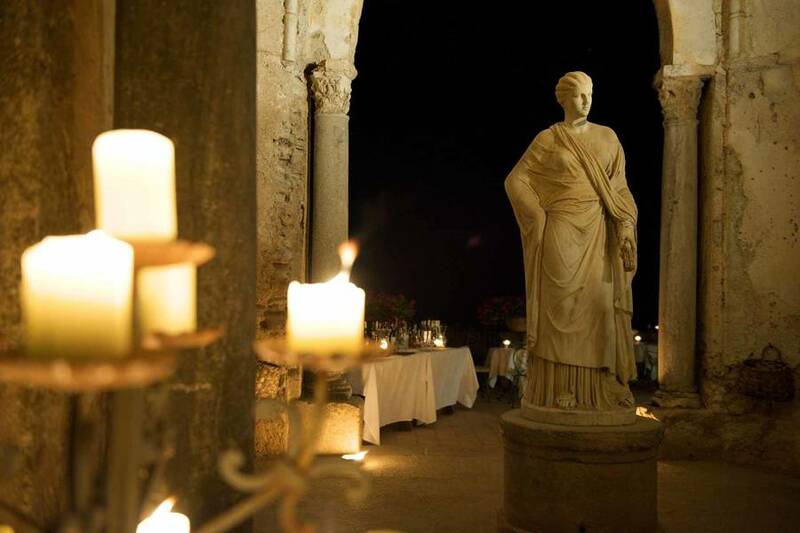 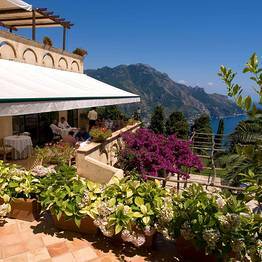 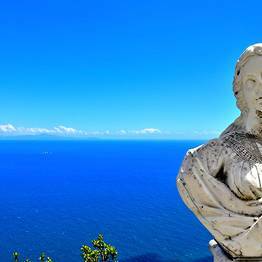 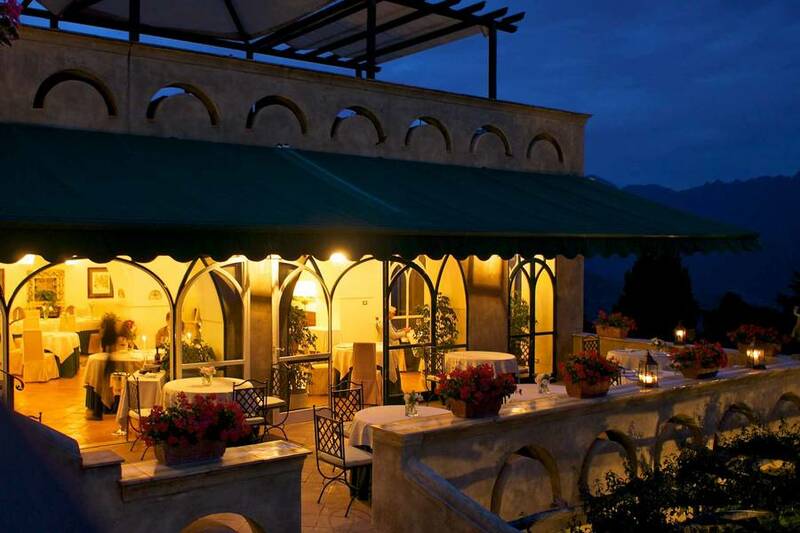 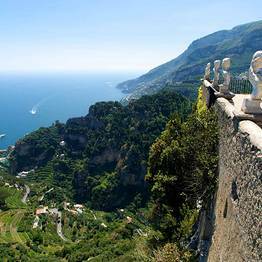 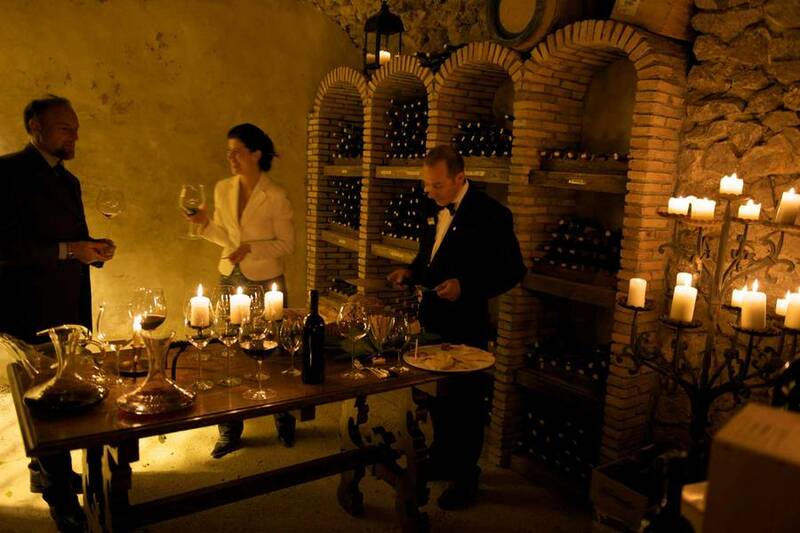 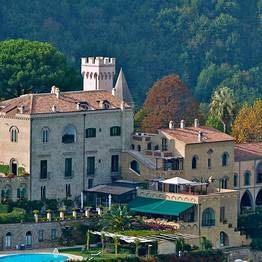 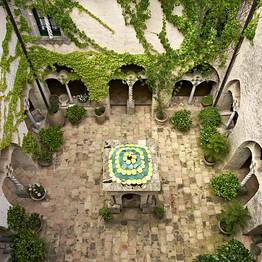 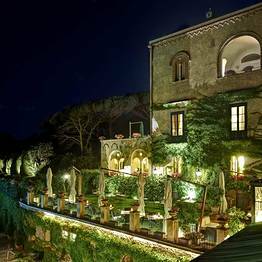 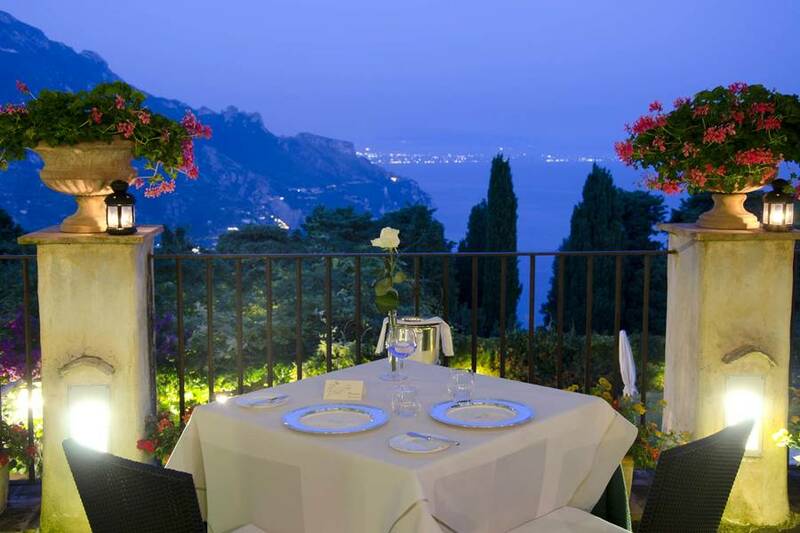 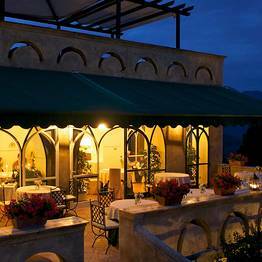 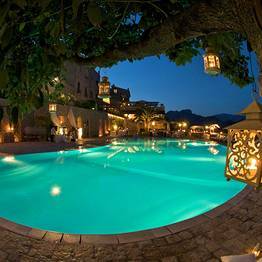 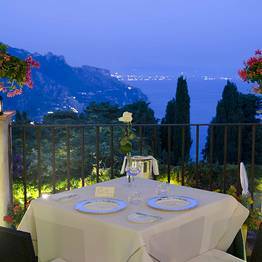 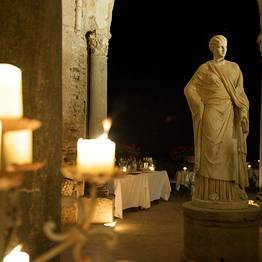 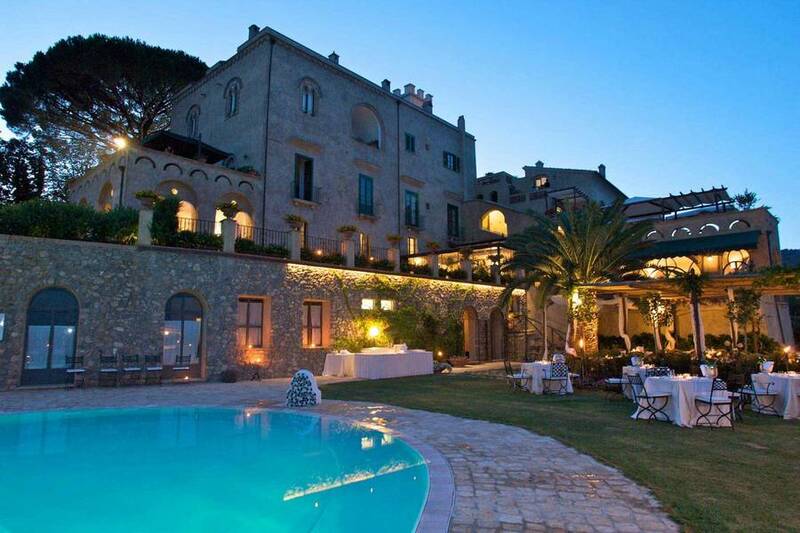 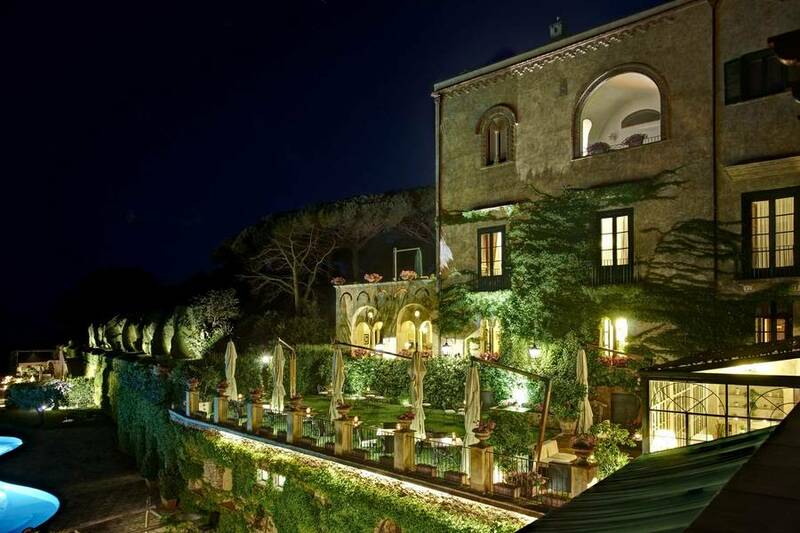 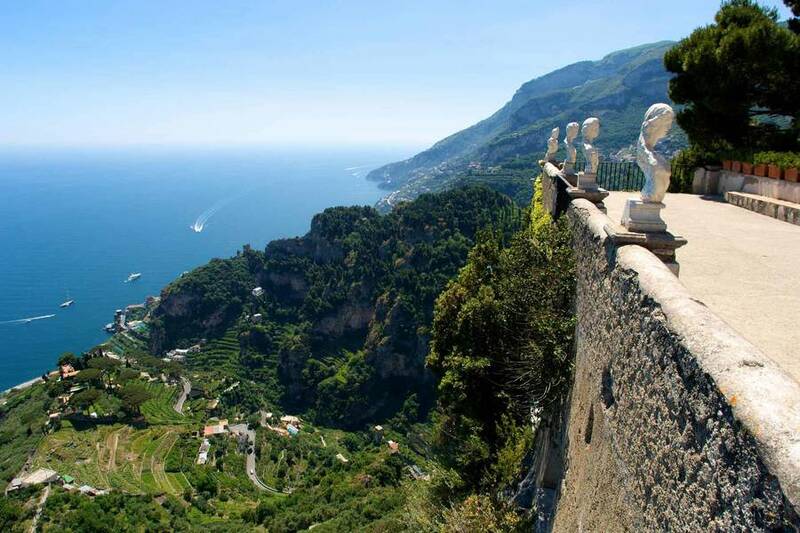 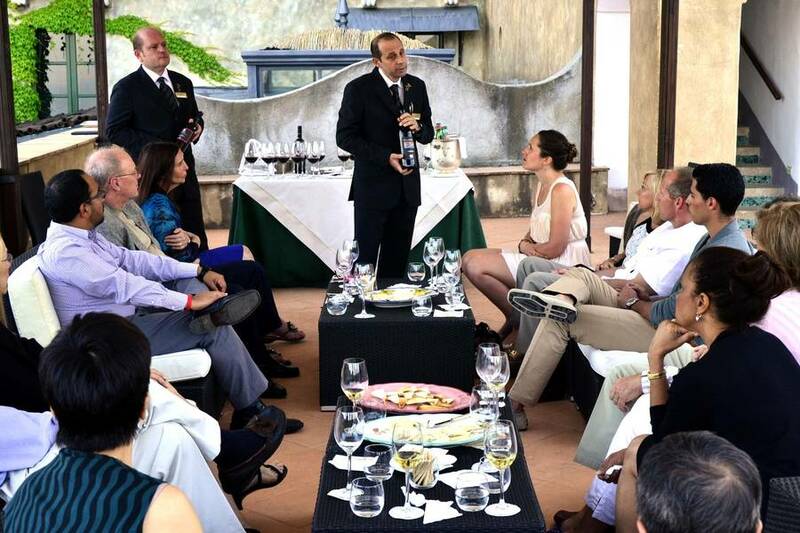 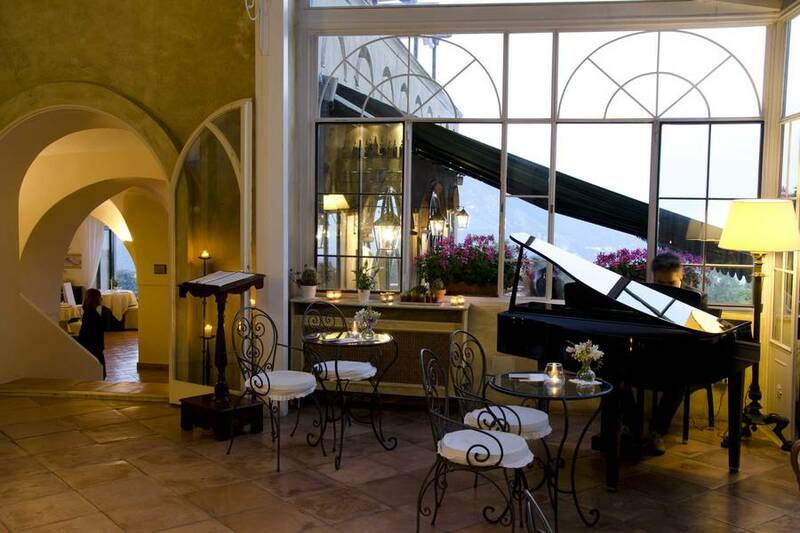 Ravello, the tiny, cliff top town dominating the Amalfi Coast and the sea, provides the spectacular location for Villa Cimbrone, a meticulously restored 12th century residence, now one of the finest 5 star hotels in the whole of the Mediterranean. 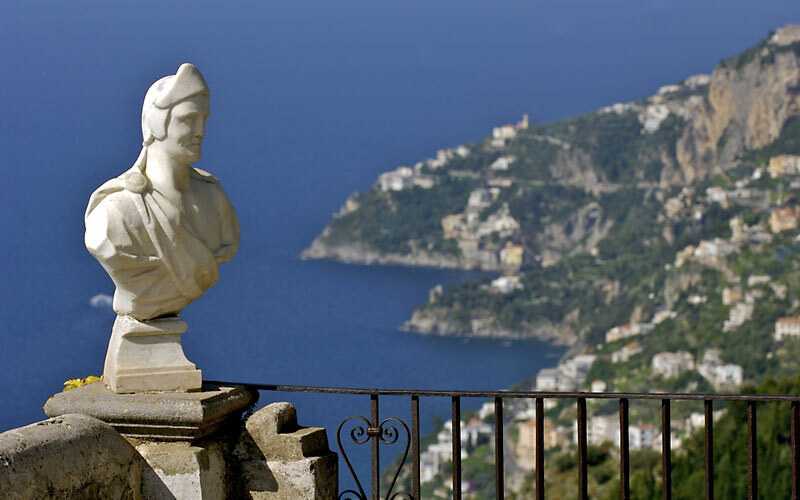 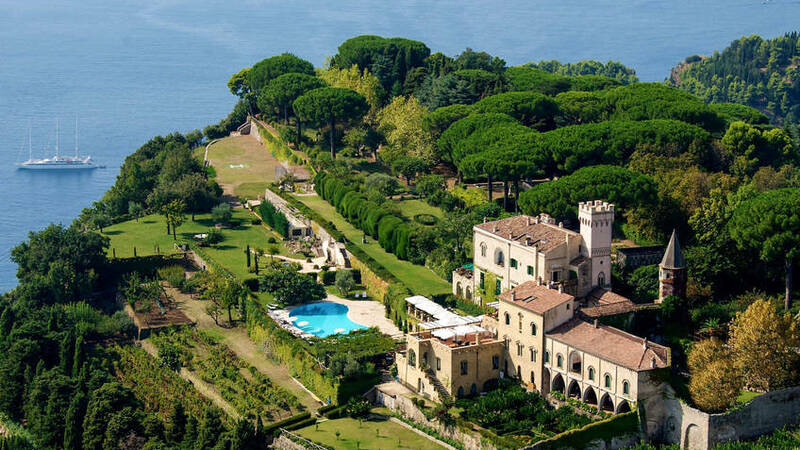 For centuries, Villa Cimbrone has been the chosen retreat of some of the world's greatest artists, aristocrats, statesmen and scientists: all of whom attracted by the beauty of its location, and the impeccable hospitality reserved to all those lucky enough to reside here. 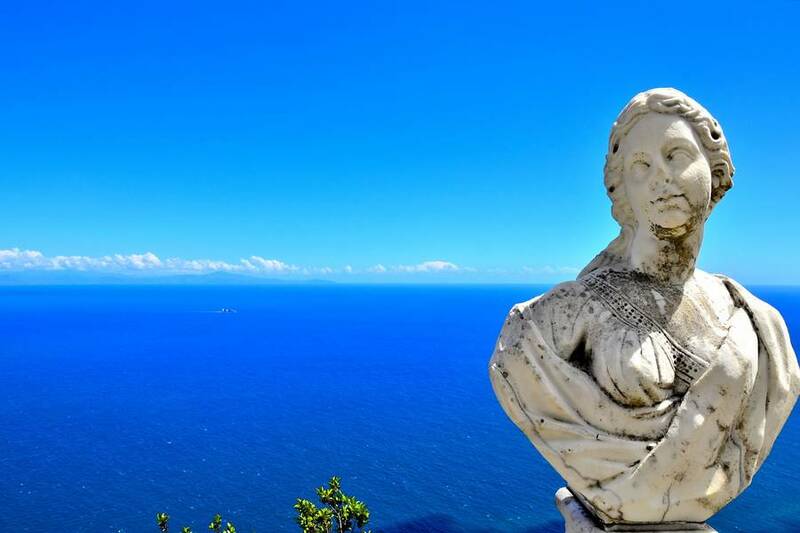 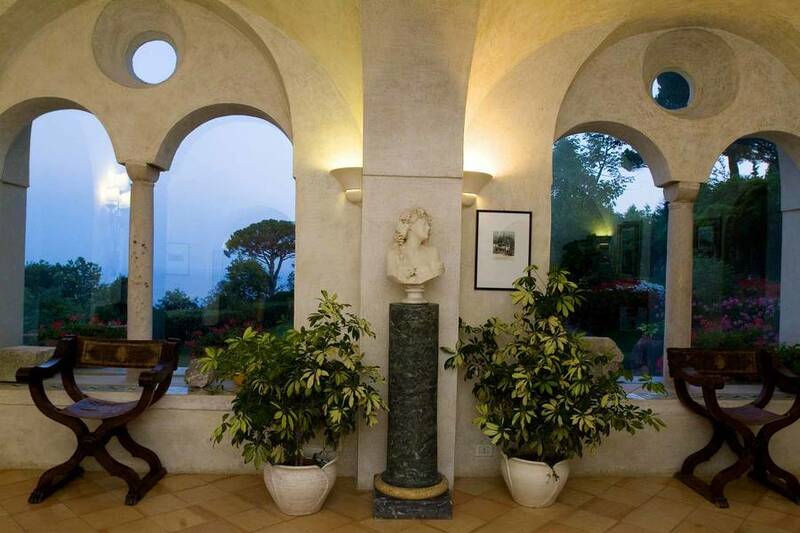 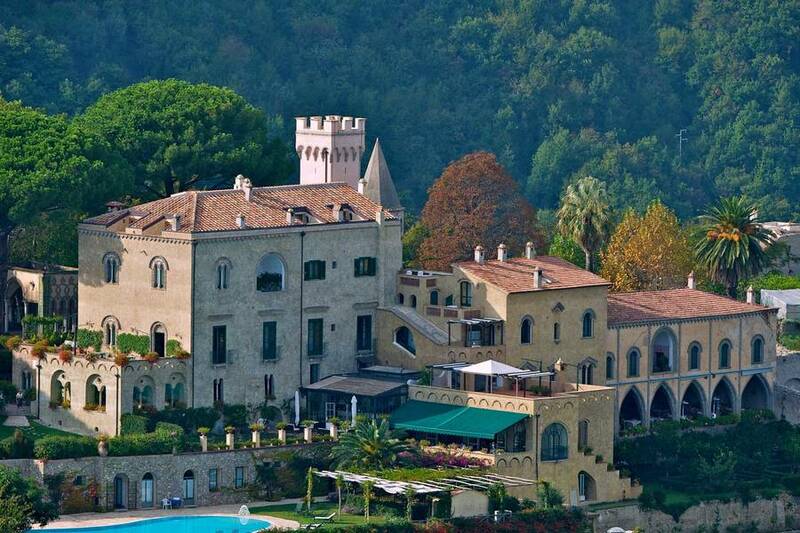 D.H. Lawrence, Greta Garbo, Sir Winston Churchill, John Maynard Keynes, Leopold Stokoswky: the names of just a few of those to have graced Villa Cimbrone's rooms with their presence. 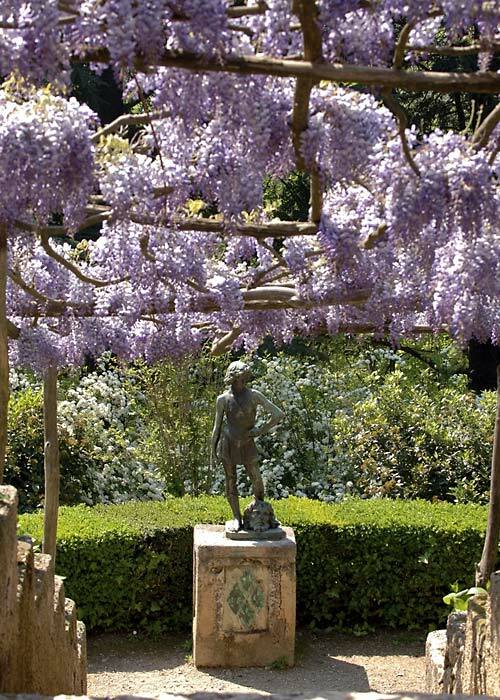 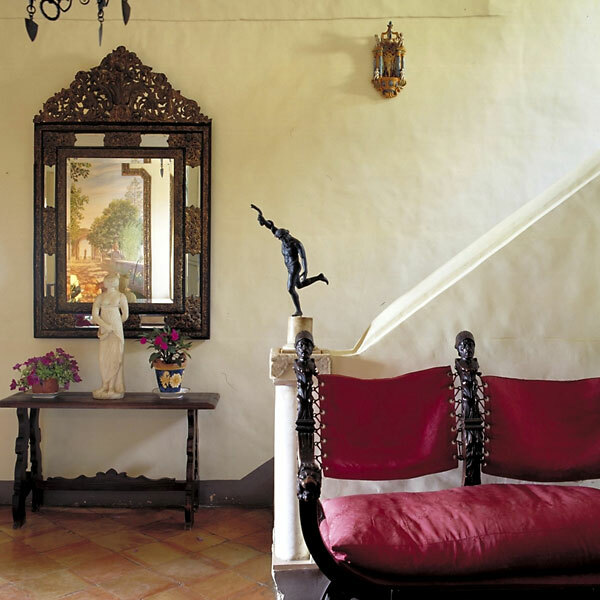 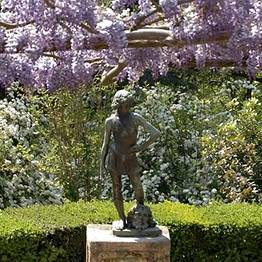 In the early 20th century, the Bloomsbury Group adopted the villa and its gardens as the inspirational setting for a number of their elite gatherings. 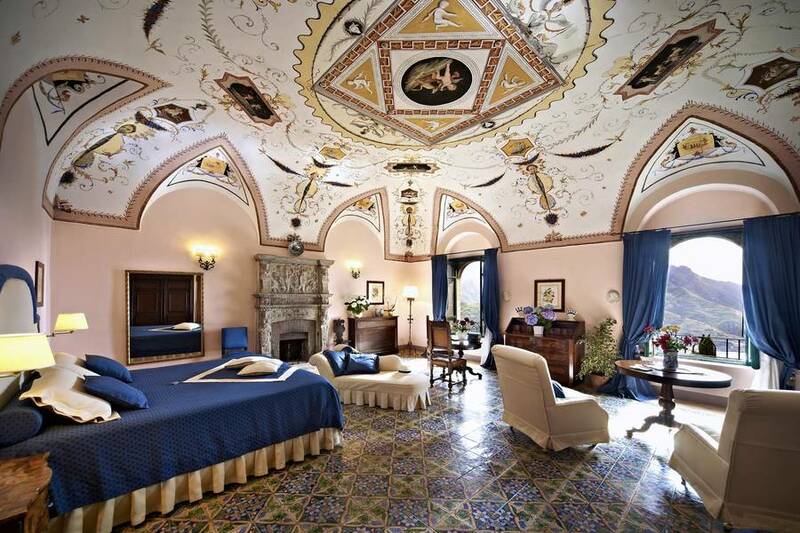 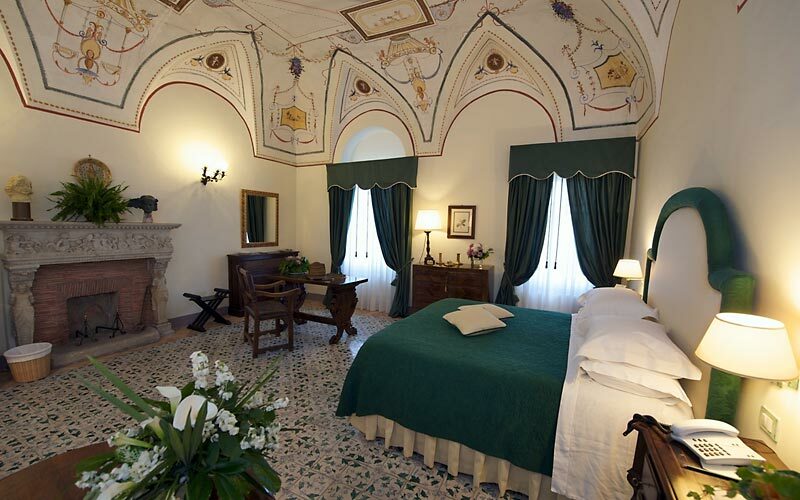 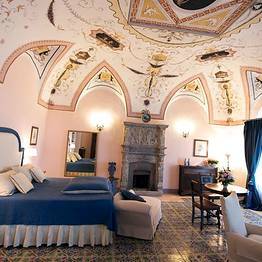 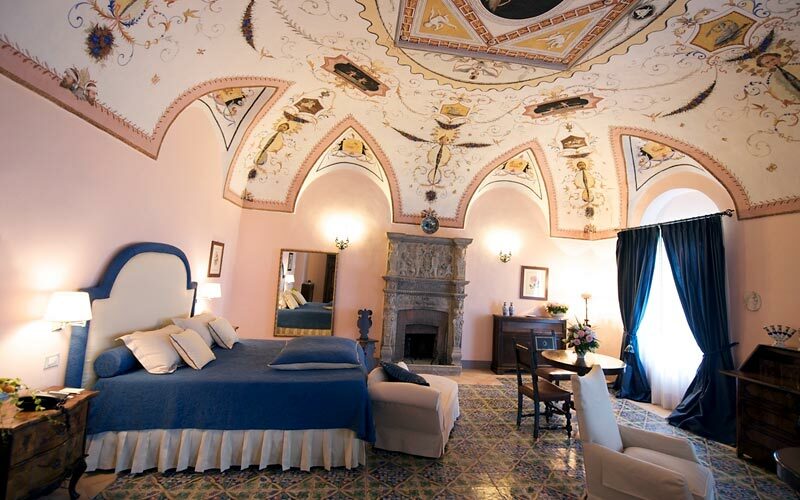 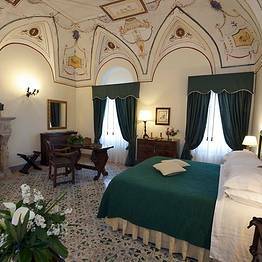 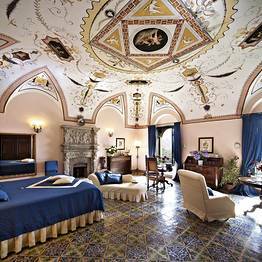 In Hotel Villa Cimbrone's sumptuous bedrooms and suites, classic furnishings and exquisite Vietri floor tiles effortlessly combine with LCD televisions and high speed internet connectivity to ensure the perfect balance of old world glamour and contemporary comfort. 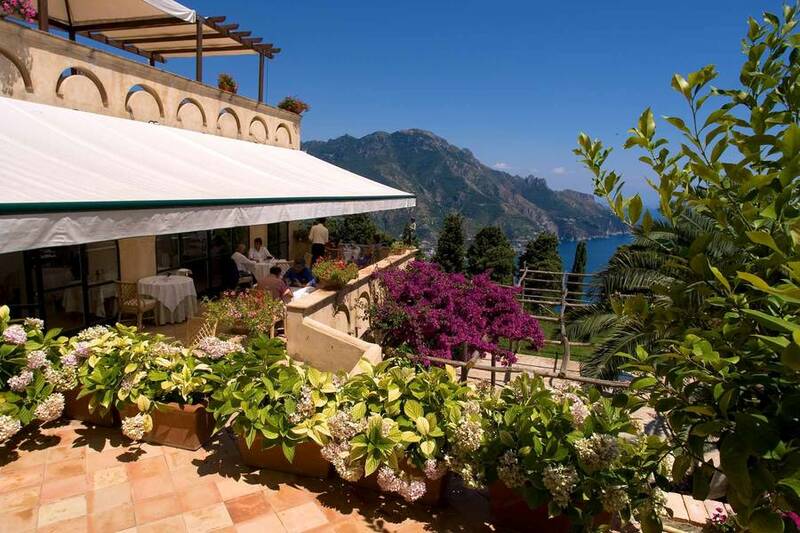 Ideal honeymoon accommodation, the hotel's wonderfully romantic "Iris" and "Camelia" suites have high, vaulted ceilings and enchanting sea view terraces. 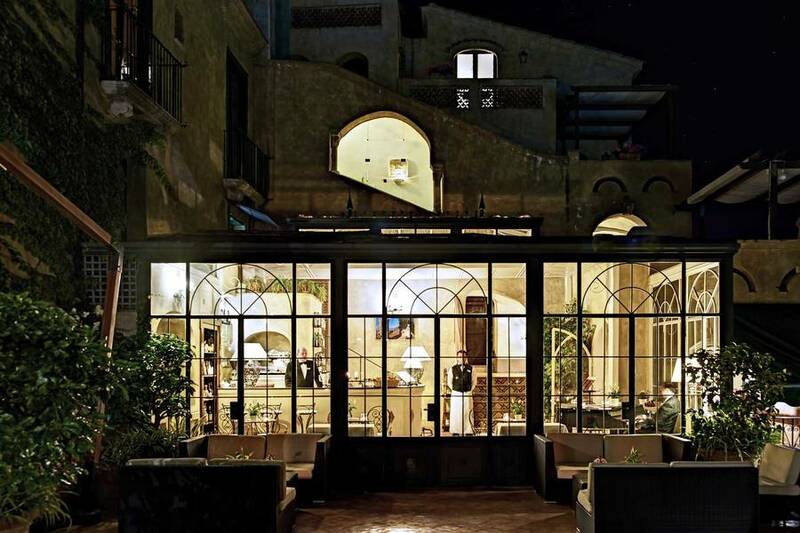 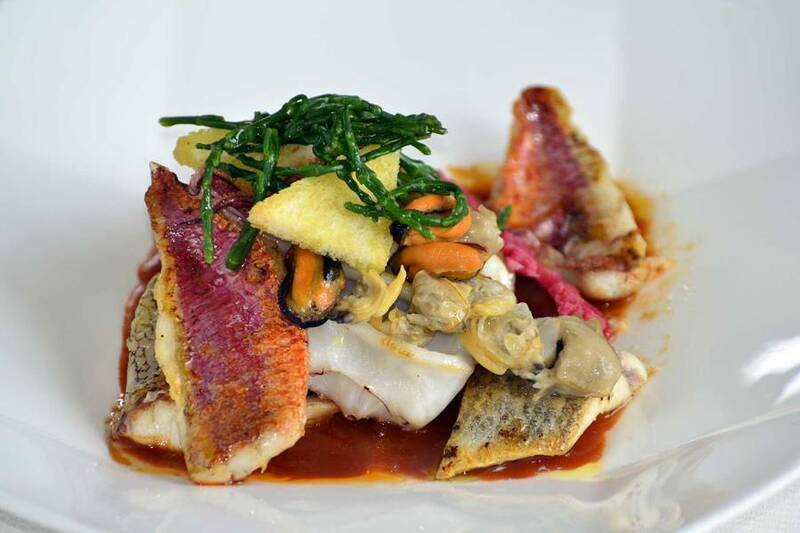 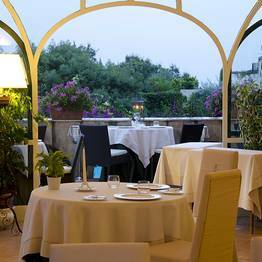 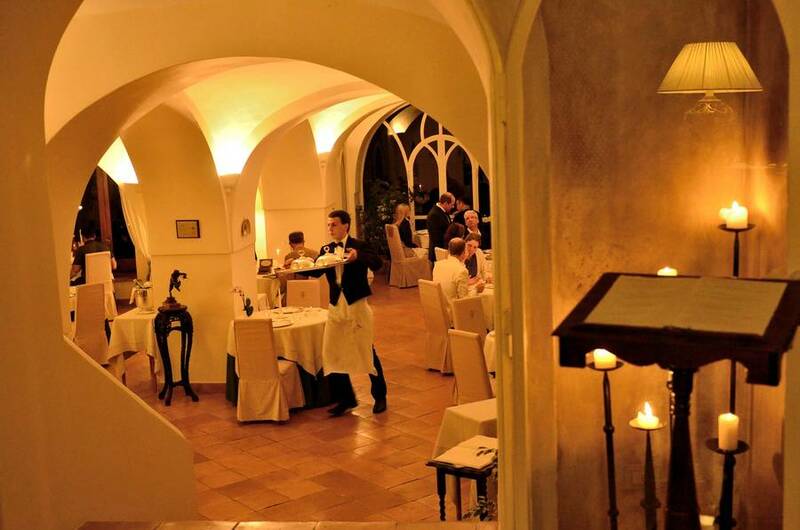 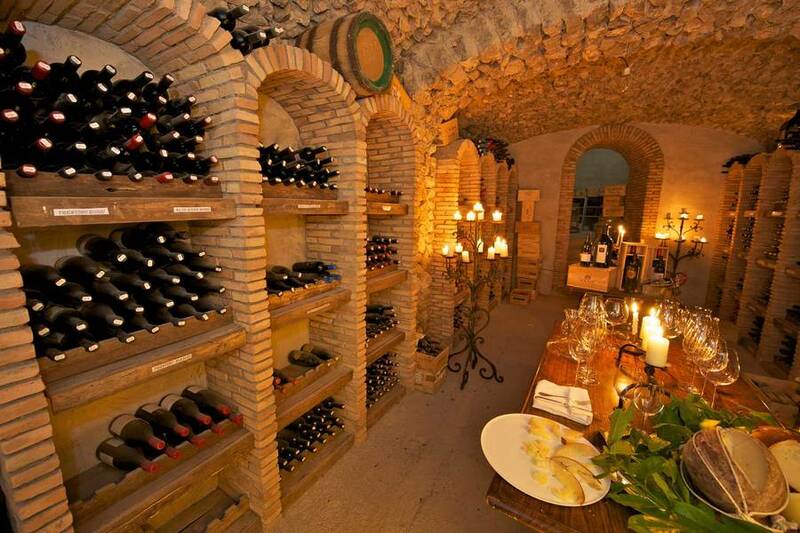 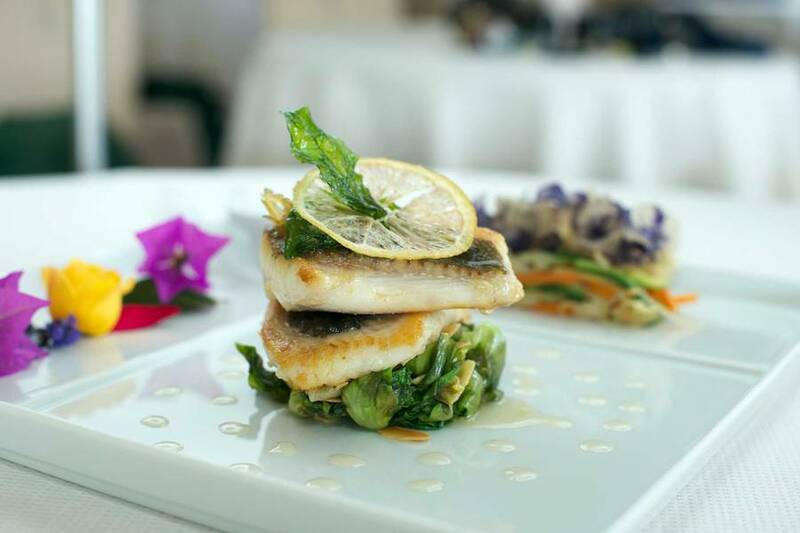 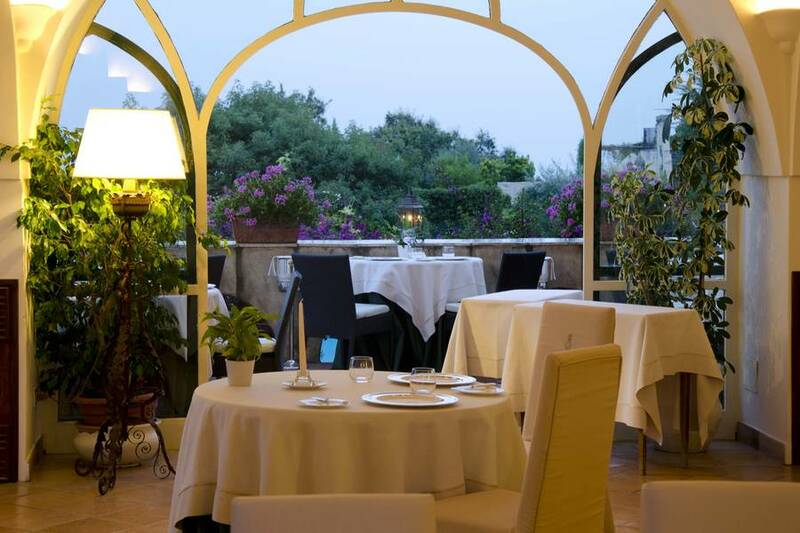 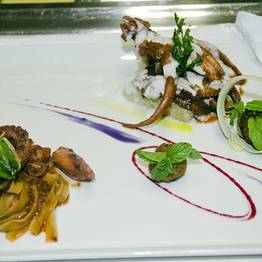 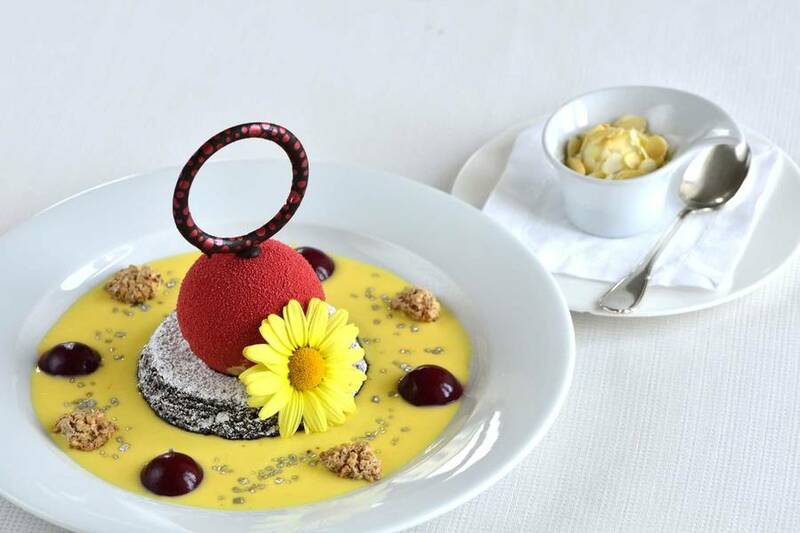 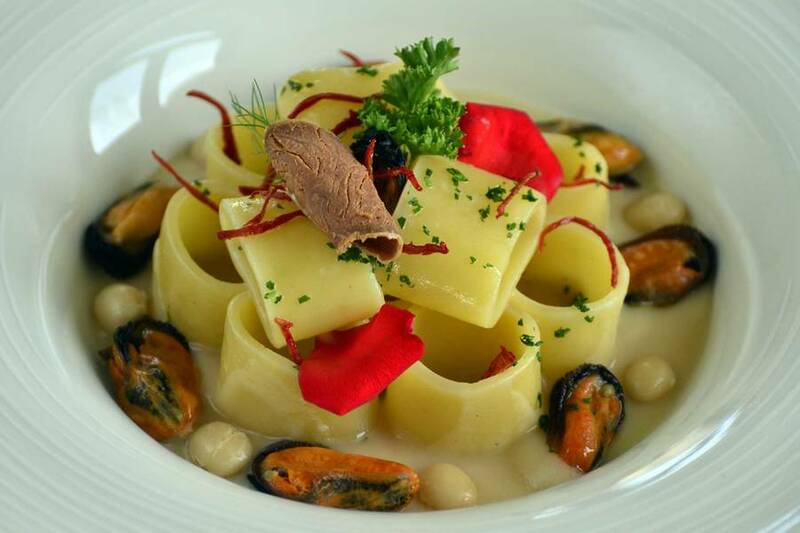 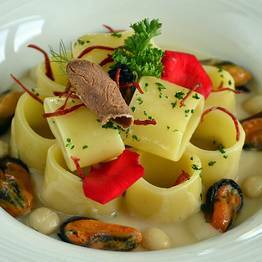 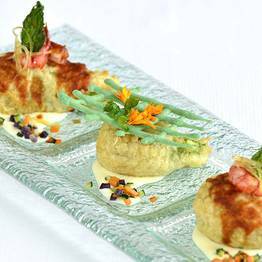 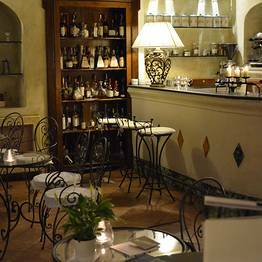 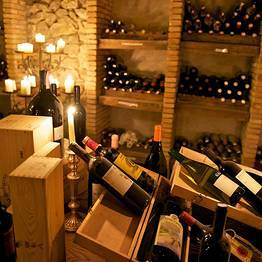 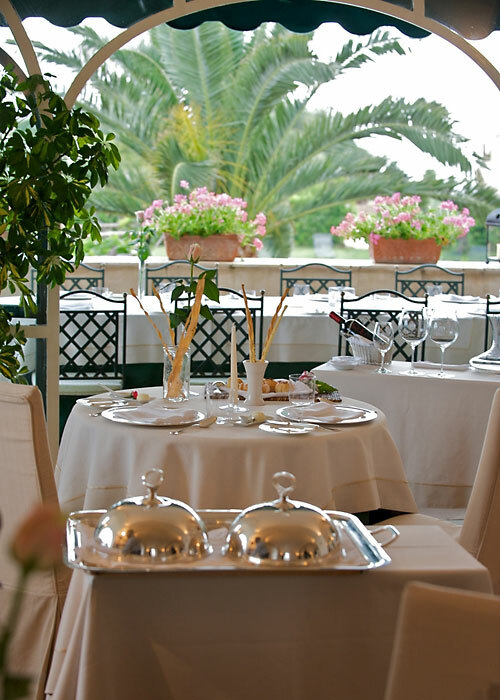 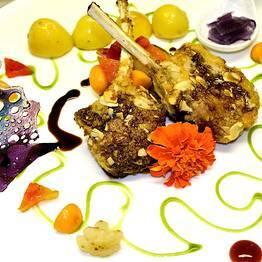 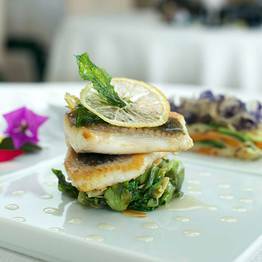 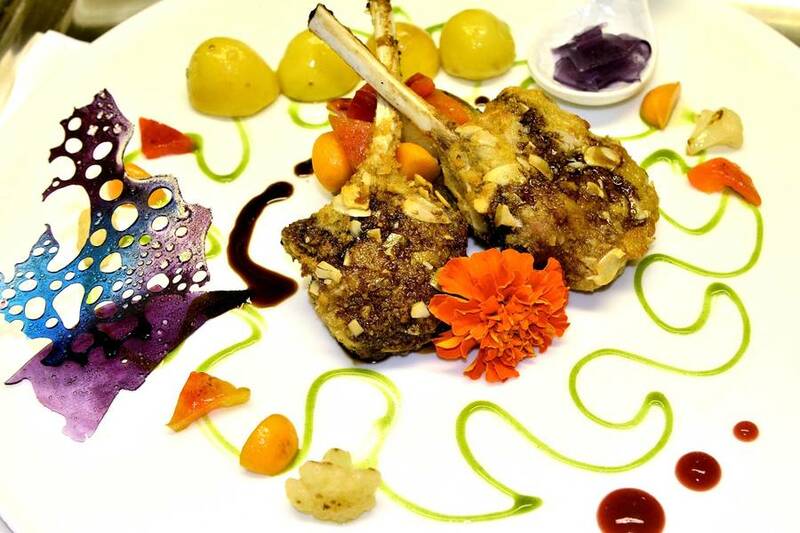 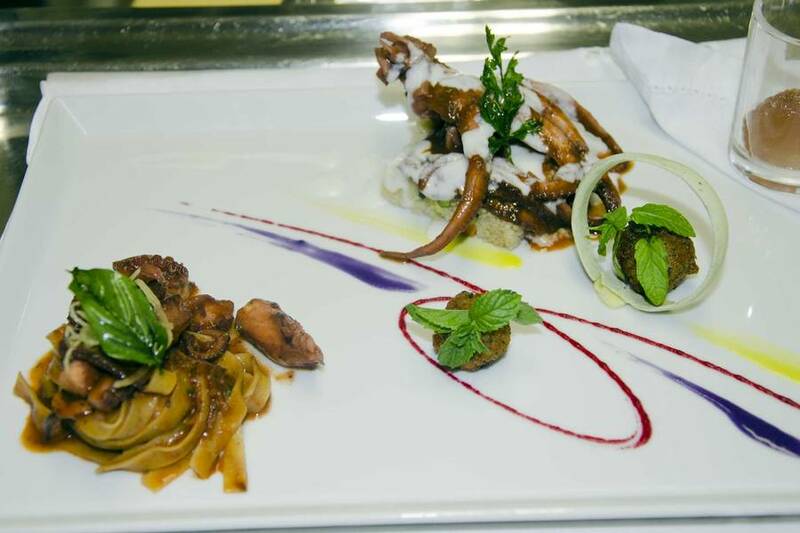 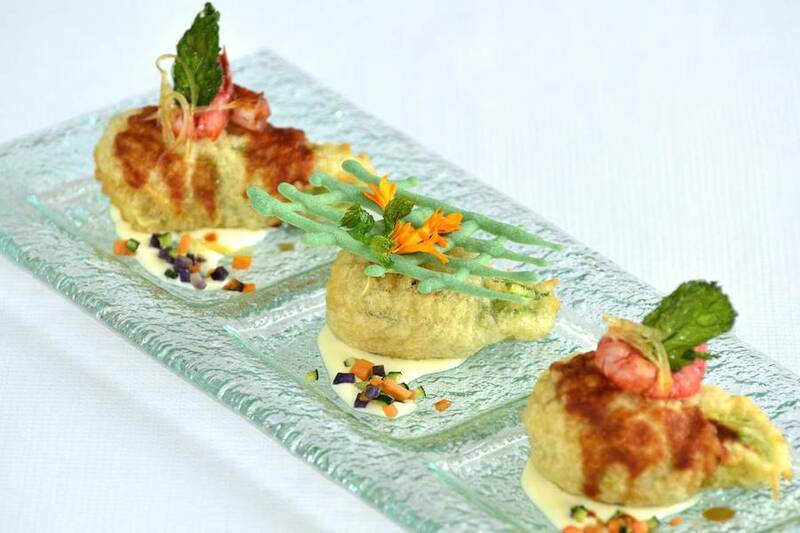 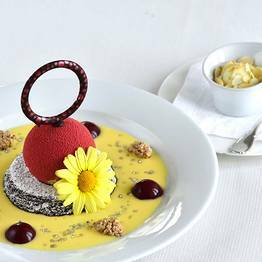 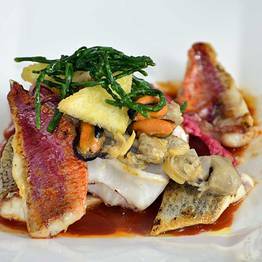 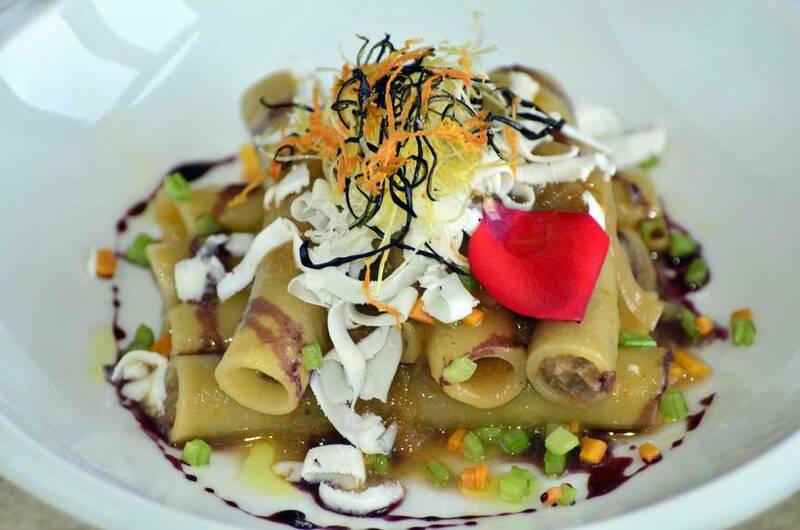 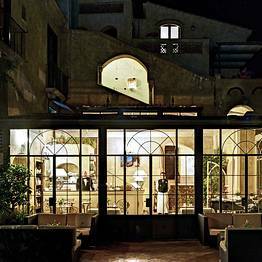 The realm of the brilliant young chef, Luigi Tramontano, Villa Cimbrone's "Il Flauto di Pan" restaurant serves gourmet Mediterranean cuisine with a creative twist. 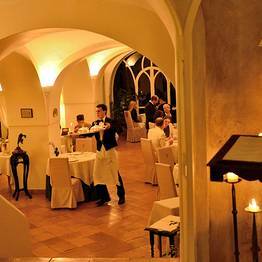 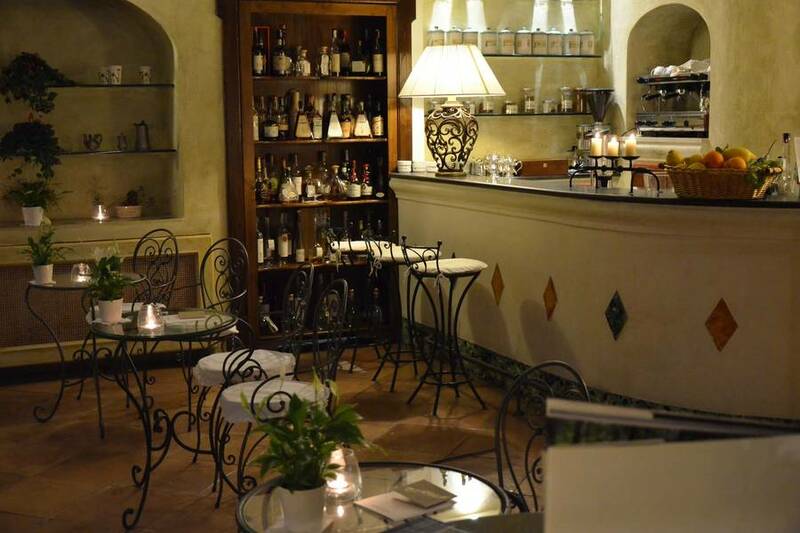 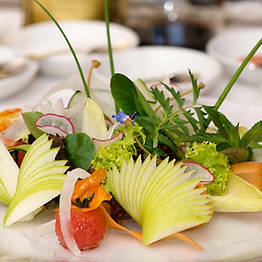 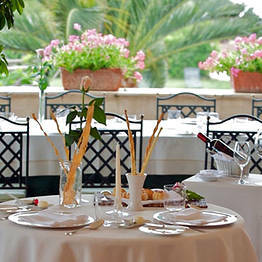 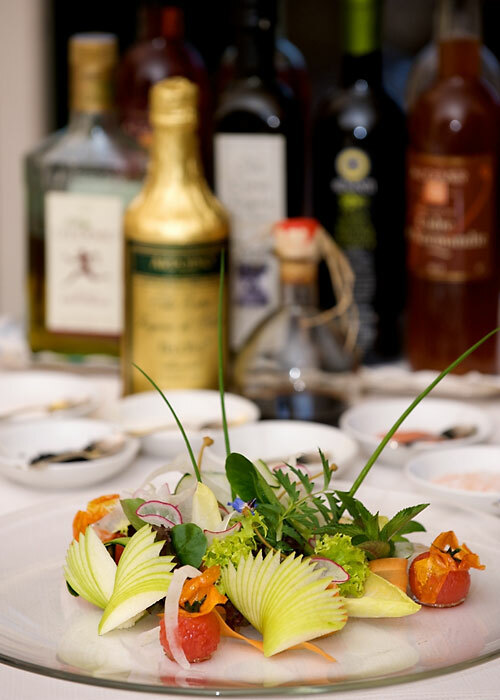 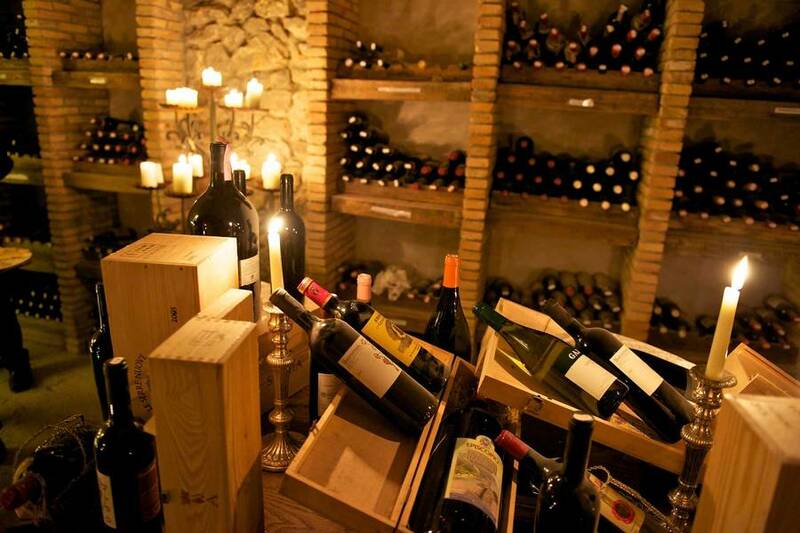 Dishes are prepared using the organic ingredients grown in the kitchen gardens and are accompanied by an excellent selection of Italian and international wines. 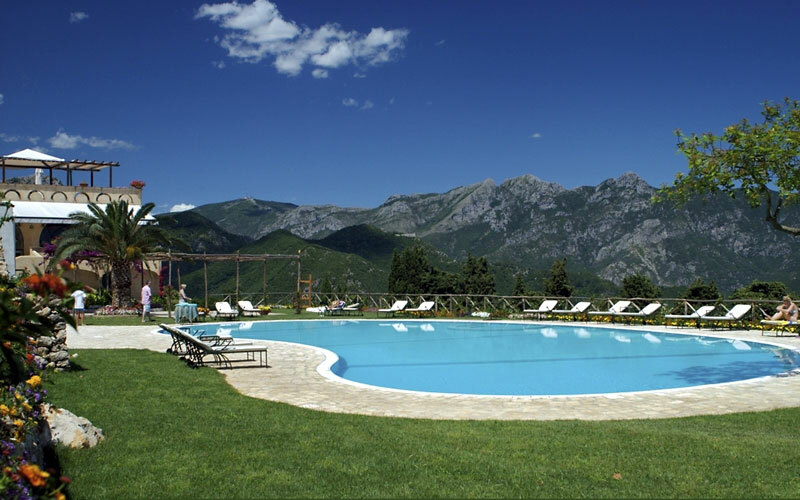 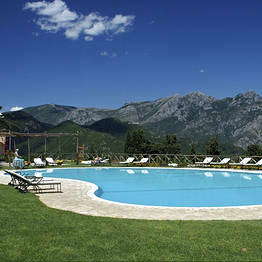 The fabulous swimming pool with hydromassage corner is by no means the only attraction in the Hotel's extensive grounds. 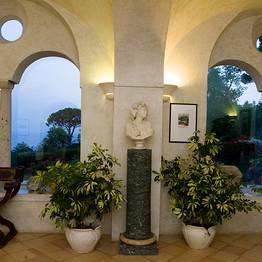 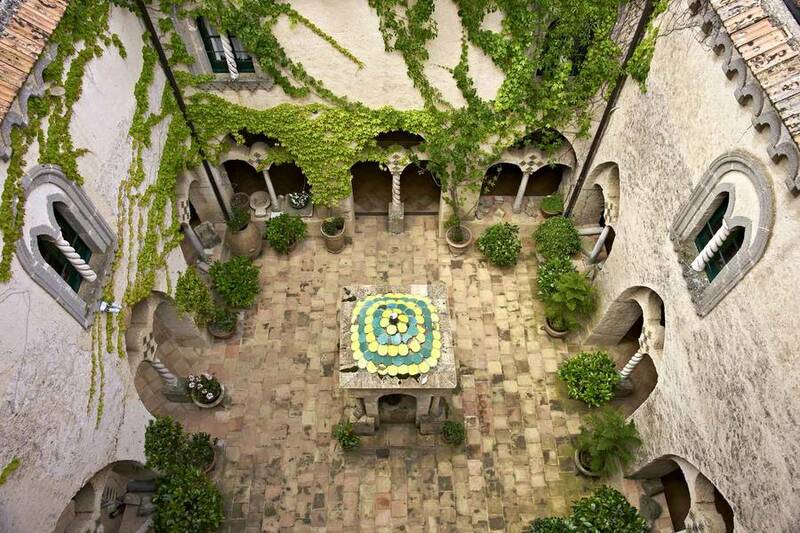 Indeed, guests might easily spend hours strolling through Villa Cimbrone's gardens, designed by the famous English landscape designer, Vita Sackville-West, visiting Eve's Grotto; the Temple of Bacchus; the Seat of Mercury; the Crypt; and the statue of Ceres, before reaching the Terrace of Infinity and one of the most spectacular views imaginable. 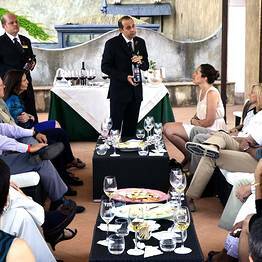 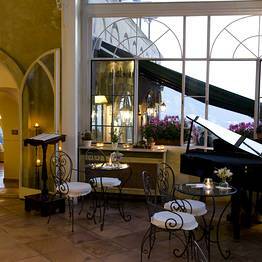 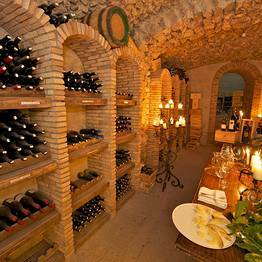 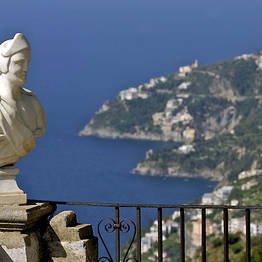 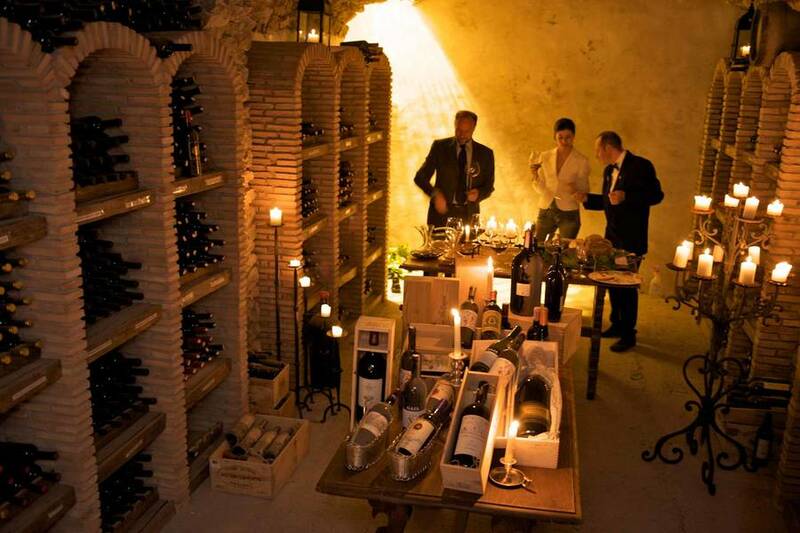 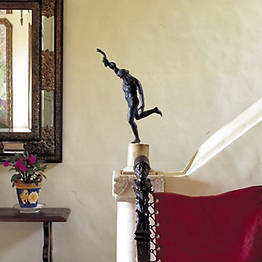 Book Hotel Villa Cimbrone on Positano.com now with no additional booking fees.